Paperback, 208 pages, 11.8 x 18.7 cm, 4.6 x 7.4 in. Magic can be practiced everywhere – even in an urban environment. 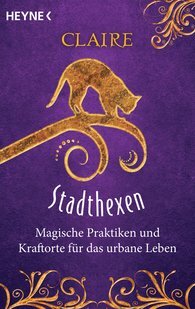 The witch Claire shows how to discover the city as a place of power and to use its hidden energies. With numerous practical tips, recipes, and rituals, Claire inspires us to develop our own magical style in accord with our individual living situation in the midst of the big city jungle.